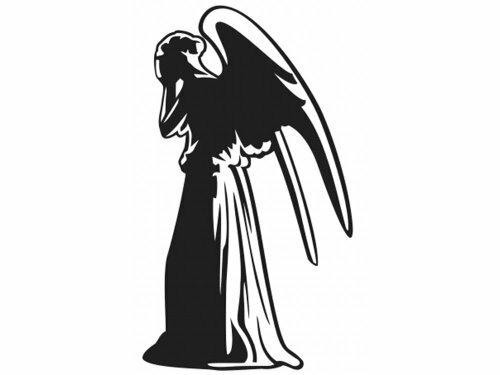 Weeping Angel – Doctor Who – Vinyl Decal — Size: 6.0″ x 3.5″ — Color: Black — This decal is cut to be placed on the outside of the surface (glass, etc. . .). This decal is made with high performance vinyl with a life expectancy of 7-10 years. Included with Purchase: Decal as seen and described in this listing (please refer to item description and picture(s). All orders come with Free Instruction for mounting the vinyl decal on any smooth surface.